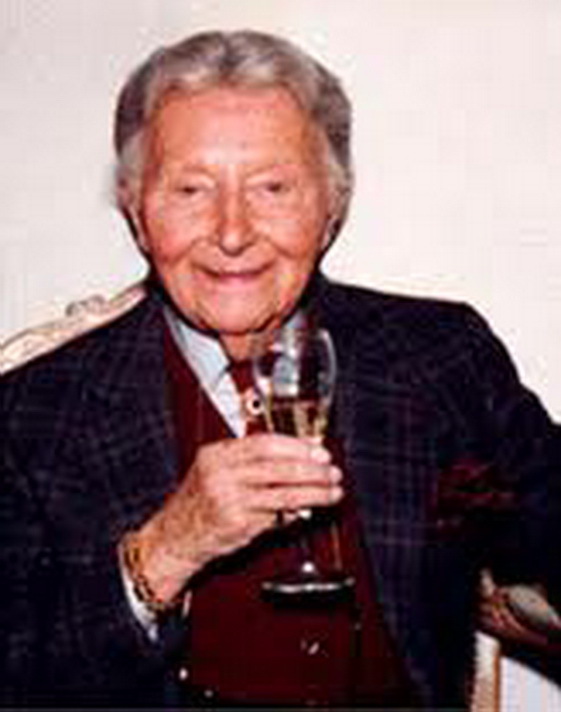 Romain de Tirtoff was born in Saint Petersburg on November 23rd. 1892 and he died in Paris on the 21st. 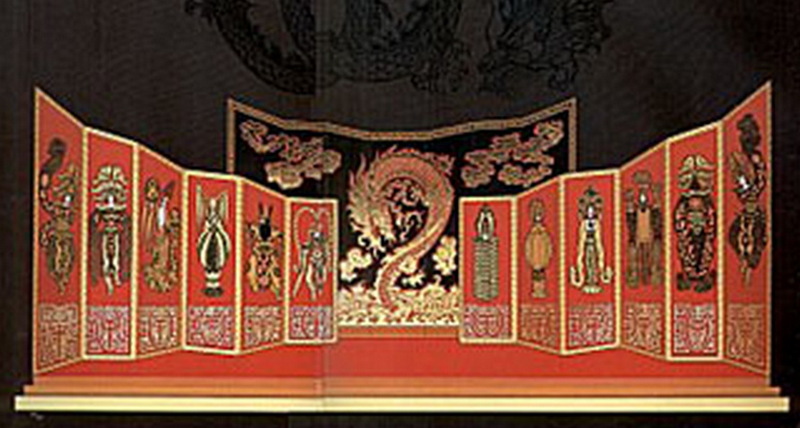 April 1990. 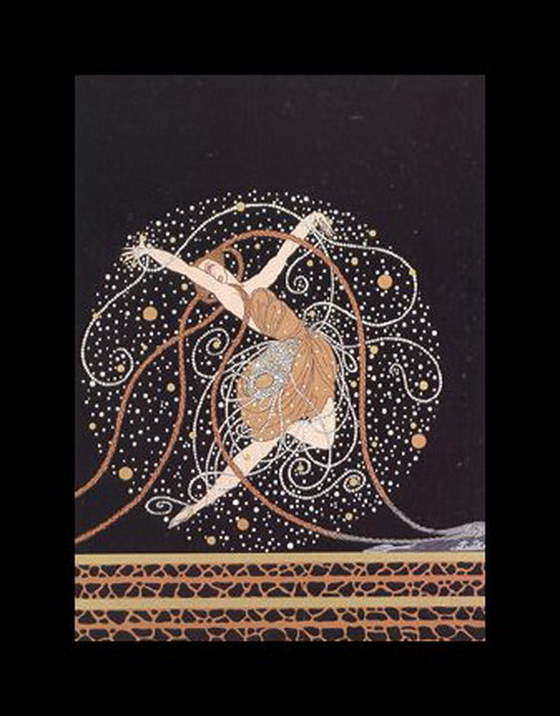 He called himself ERTE after the French pronunciation (air-tay) of his two initials. 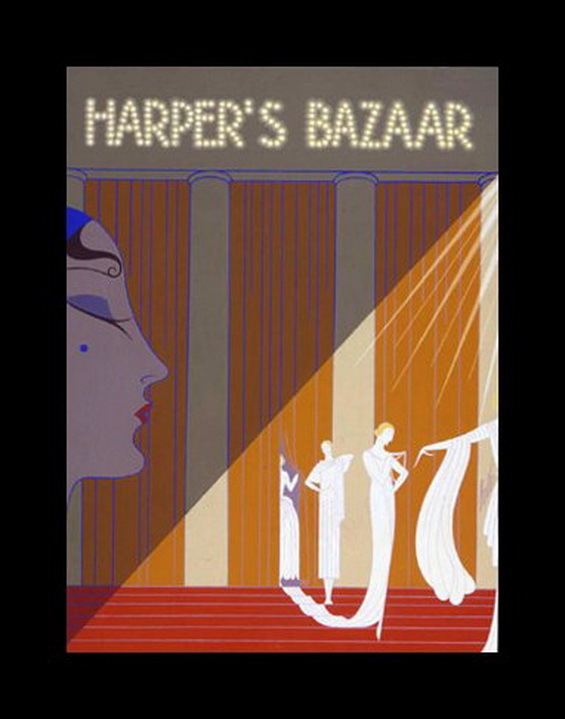 In 1915 he managed to get a contract with Harper’s Bazaar magazine, and thus he launched himself into a legendary career that included fashion and jewelry and also designing costumes and stage sets for the Theatre and Films. 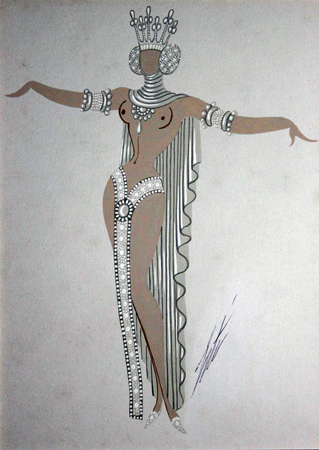 Including costume and set designs for Hollywood Movies and also stage productions including some spectacular scenes in the “Ziegfeld Follies” of 1923 in New York, many production numbers in numerous “Follies Bergere” in Paris and also for the Paris Opera. 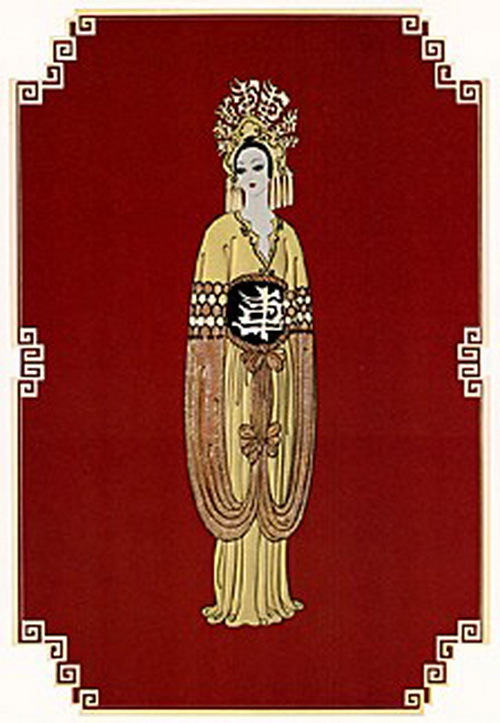 In the 1920’s he went to Hollywood where he designed the original costumes for both the silent version and later the 1959 version of “Ben Hur”. 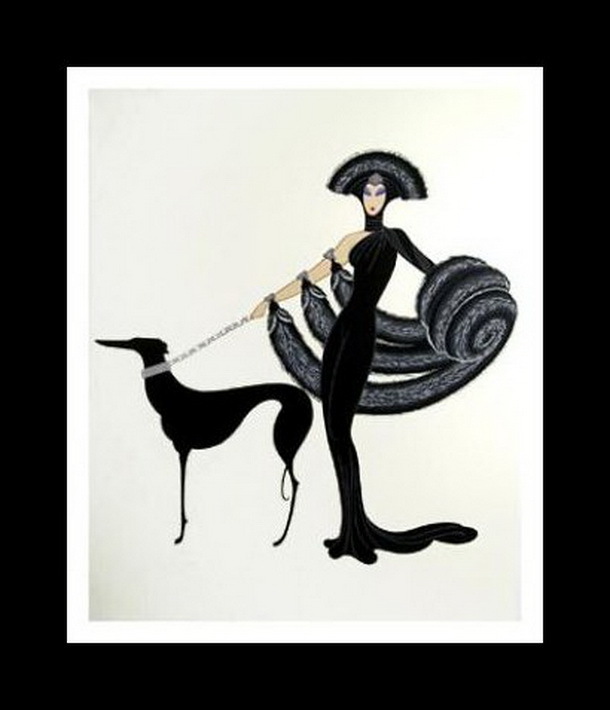 Erte designed over 250 covers for Harper’s Bazaar, limitless drawings for the inside pages, his illustrations also appeared in the magazines of Vogue and Cosmopolitan.He fashion designed for some of the world’s most glamorous women including Josephine Baker, Joan Crawford, the infamous Mata Hari, Anna Pavlova, Lillian Gish and also Marion Davis. 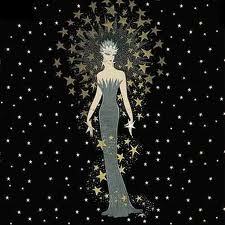 Erte is most famous for his elegant fashion designs which captured the Art Deco period in which he worked. 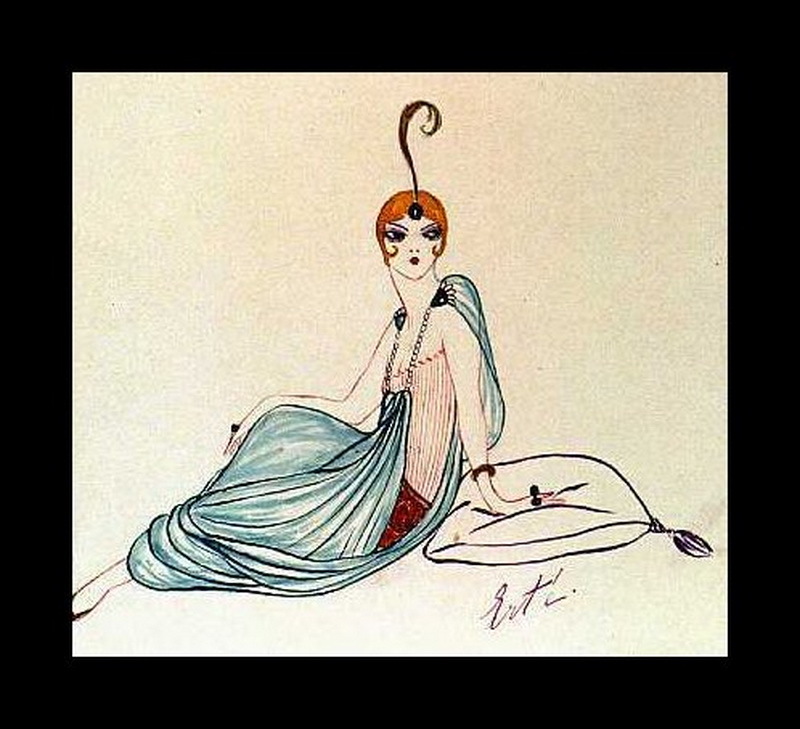 His delicate figures and glamorous designs are instantly recognizable, and all his ideas and art still to this day influences the fashion industry. 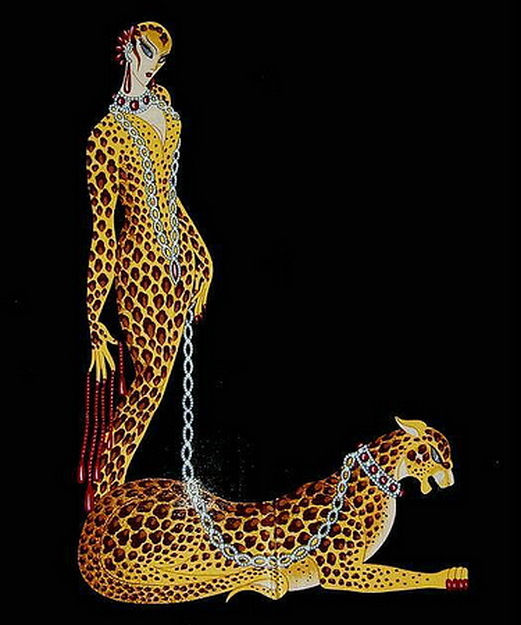 He loved cats because, like him, they were independent and preferred solitude to company. 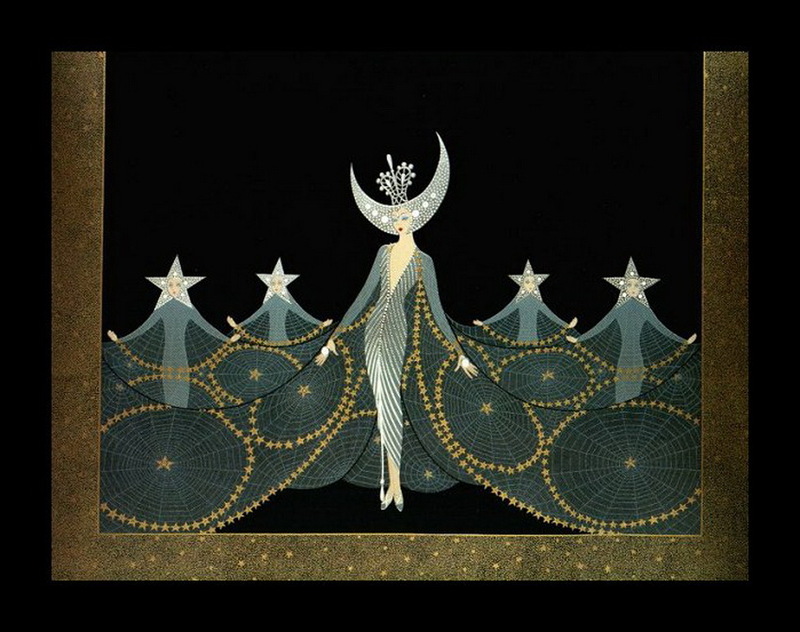 When Erte died in 1990 at the age of 98, he left behind an enormous collection of his work from his long and distinguished career, not only as an Artist but also as a designer for Films, Theatre and Opera. 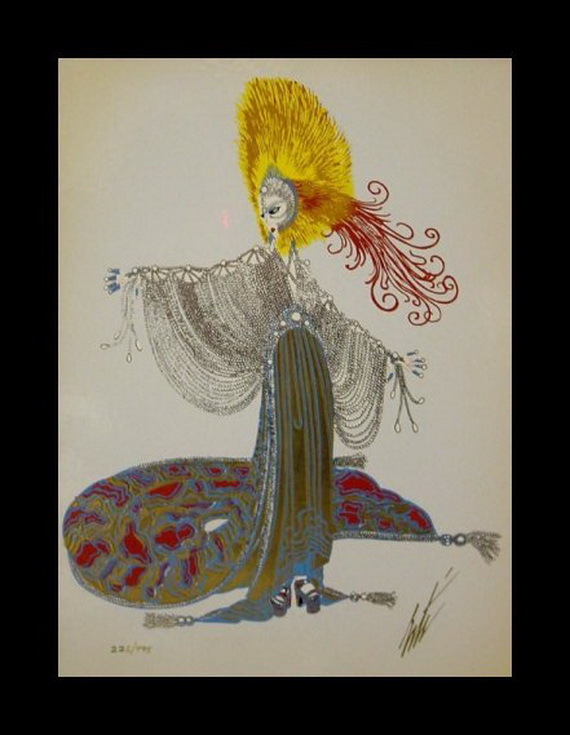 His work can be found in several well known Museums including the Victoria and Alber Museum in London, and the Metropolitan Museum of Art in New York. MY GAWD! ! ! SHE WEIGHS A BLOODY TON! Something simple to wear to do a little shopping!